Kimi Raikkönnen will leave Lotus for Ferrari in 2014/15. It’s the second time that the finn will drive for Ferrari. He drove for them from 2007-2009. In these years he got 9 GP wins and 1 world championhsip in 2007. He then was replaced by Feranando Alonso in 2010, who’s also he’s new teammte for the next season. Yesterday evening Felipe Massa announced that he will leave Ferrari at the end of 2013, no news on his future plans yet. Now it’s of course interesting to see who’s going to drive for Lotus, i hope it’s going to be Nico Hülkenberg, who showed great performances in the last couple of years in F1. But who will replace him at Sauber? Well most likley it’s going to be Sergey Sirotkin, who’s only 17 years old and for me not ready for an F1 full time cockpit. I really can’t wait to see how the F1 2014 season is going to unfold, with Raikkönnen now in a team that has the money to produce a winning car. Tech 3 Yamaha rider Cal Crutchlow will join the Ducati factory for the MotoGP seasons 2014 and 2015. He will replace the 2006 MotoGP champion Nicki Hayden. Now MotoGP fans will know that Ducati isn’t very succesfull- actually since Stoner left the team back in 2010. So at the moment the Tech 3 Yamaha would be the better choice. So why did Crutchlow left Tech 3? Well because first of all, it’s a factory ride, he wanted that deadly. He asked Yamaha for a factory ride, but well that’s impossible at the moment, were current champion Lorenzo and MotoGP legend Rossi are in the team until 2014/15. And Crutchlow is confident that recent changes at Ducati (Audi bought Ducati last year) will improve the team. But the actual point why he left is, obviously, he gets more MONEY. It’s obvious that you get more money when you drive for a factory team than a Sattelite team like Tech 3. But hey, maybe Crutchlow can make a Stoner and turn this team to a competitive championship winning team, who knows? Official statement coming on Friday. Honda will comeback to F1 in 2015 as a engine supplier for McLaren. They confirmed that on their todays press conference. Honda wanted to comeback to F1, because they liked the idea of the 1.6 litre V6 turbo engines replacing the old 2.4 litre V8 engines for 2014. We don’t know how the livery will look like, but because the name of the team will be McLaren-Honda again, it would be awesome if the red/white livery comes back. They also came back to F1, because Hybrid tech will come for the 2014 season and you know Honda has a lot of it in their road car line up. So they don’t have to bring cars like the ”Earth Car” back in F1 2008, their last F1 season. Of course Mclaren and Honda had a really succesfull partnership before. McLaren-Honda won four Driver and Manufacturer titles from 1988-1991, their partnership ended after a not so good 1992 season, back then when Nigel Mansell dominated that year with the Williams-Renault. Hondas return to McLaren is also very good for McLaren in the financial aspect. They have to pay for their engines for the first time since 1996 and are generally in a not so good financial position. So their F1 future in combination with their new sponsor Gillette is safe- for now. Honda didn’t talked about any engine tests or supplieng other F1 teams in the future. The DTM wants to be more global, not more a european series like it has been for years. Ok, they raced twice in Shanghai, but this races weren’t really good and the chinese people as we know don’t give attention to motorsport. So after the the cooperation with the Super-GT for 2014, the ITR and IMSA have decided today to do a cooperation for 2015-with the DTM and the new USCR. The “US-DTM” could be a support series for the USCR, so it will come on TV. But there are two problems the ITR has to solve. The lack of cars and manufactures maybe? That shouldn’t be a problem. They have Mercedes, Audi and BMW from the DTM and Lexus, Honda and Nissan from the Super GT. Cadillac, Dodge-SRT and Lincoln (!) have also interest to involve in the series. No exciting circuits? I think it will be incredible to see those cars at Sebring, Watkins Glen, Laguna Seca or Road America. But the problem is the DTM as a series. If you ever watched a DTM race on TV, you may have noticed that the races are quite boring for Touring car races. They give a penalty after the other, lack of overtaking (most of the time) and of course no last lap action. I mean Americans want to see how drivers are fighting hard for positions at the last lap and then to see how they all crash at the last corner and you don’t know who is going to win. That’s why Nascar is so popular. The next big problem are the aerodynamics. Maybe they are interesting for us europeans or asians, but americans don’t give a s**t.
That’s one of the reasons why F1 is not so popular over there and also one of reasons why the LMP1 class didn’t survive for the USCR. So the target for the ITR and the IMSA has to be, less aerodynamcis, so the drivers can make the difference of winning and losing- not the aeros. I really hope the DTM cars will look like the cars from the Super GT. The Super GT has incredible racing in contrast to the DTM and the sounds of the engines are magnificent!!! The Honda HSV 010 sounds like a F1 car, the cars look brilliant and this series is very popular in Asia. So ITR take the GTA (The association of the Super GT) as a example and learn from them. But the ITR is already going in F1 direction with the addition of the option tires and DRS system for 2013. These are Touring cars, they don’t need that to have great racing (again Super GT as example). But when the DTM wants to be global, why didn’t they cooperate with the WTCC? The WTCC will have new regulations anyway, so why didn’t they use it as a opportunity? Maybe they don’t want to work with the FIA, i don’t know. So lets wait and see how it will work out. We have good days in Le Mans right now. A manufactur after the other is confirming a Le Mans entry for 2013/2014. Nissan confirmed a return at the Sarthe last week. They will begin their LMP1 programm in 2014 to start from the 56th box, before they make a full entry 2015 to the WEC and Le Mans. Nissans last time at Le Mans was from 1997-2000 when they used the R390 GT1 car to compete against the Porsche 911 GT1 and the McLaren F1 GTR. But we don’t know how the Nissan LMP1 will gonna look like. Hopefully like this, it looks similar to the Aston Lola though..
Now Porsche is also coming back in 2014 with a LMP1 car to compete against Audi and Toyota, but we know that already since last year. The first testing sessions could come in mid-summer. We don’t know how the Porsche LMP1 is gonna look like either. Renault confirmed that they bring the name Alpine back to the Sarthe after 35 years. Alpine-Renault will already comeback this year with Signatech from the LMP2 class. Signatech will now switch from Nissan to the Renault engine. It’s just the beginning of a longtime project for Renault, so we can see them also in the LMP1 class in the near future. Alpine-Renault won the 1978 24h Le Mans. Lotus also planning a LMP1 car with the T128, this car will be first used as a LMP2 prototype this year in Le Mans and then for the rest of the WEC season. Which other Manufactures could also come to Le Mans? Mazda has been always romourd to come to Le Mans one day. They build the Mazda Furai Concept few years ago and are building engines for Dyson Racing in the ALMS. Mazda planned to bring a LMP2 engine with a Lola car this year. concetrating on the come back for the biggest endurance race in the world. Of course they wanted to show the perfomance of the Mazda 6 on a racetrack, but who cares? I mean there are only four cars in the GX class, two of them are Mazda 6s. The action is in the DP and GT class, so i don’t see a future for this class, especially when Grand Am an ALMS are coming together in one series in 2014 and nobody knows if this class is going to survive. The last time Mazda was at Le Mans was in 1991 when their won the 24h Le Mans with the legendary 787B. Aston Martin had their problems with their comeback to Le Mans back in 2009. The Aston Lola was a quite good car, for 3 hour races, but not for 24h hour races. This car nearly won the ALMS title in 2011. Aston Martin then produced the all new AMR-One for Le Mans 2011 and guess what happend. This car only lasted seven laps and it was so embarrissing that Aston Martin retired from their LMP programm. I hope they comeback one day, but hopefully with more success. Who remembers the Bentley Speed 8 at Le Mans 2003? Yes they won the race but after then Bentley retired due financial issues, because of the build of an new road car, named the Continental GT. Bentley now coming back into motorsport with the Continental Supersports GT3 for the FIA GT Series and the Blaincpain Endurance Series. Bentley said that they have interes to build an LMP, but ave to concetrate on their GT3 programm. But Bentley could easily comeback, they just have to build the GTE version of the Continental and that’s it!!! Of course they are also other Manufactures like Peugeot, BMW, Mercedes, MG, Cadillac (yes in 2002), and we don’t have to forget the privatiers like Rebillion, Strakka, OAK, Pikket, Dyson, Drayson and many more. Exciting times for the WEC and Le Mans ahead in the next 2-3 years and of course with awesome racing. A Formula 1 race is expected to be staged in Bangkok, Thailand from the 2015 season onwards. The event, set to follow in the footsteps of Singapore and be held at night, will be supported by the government and local companies. 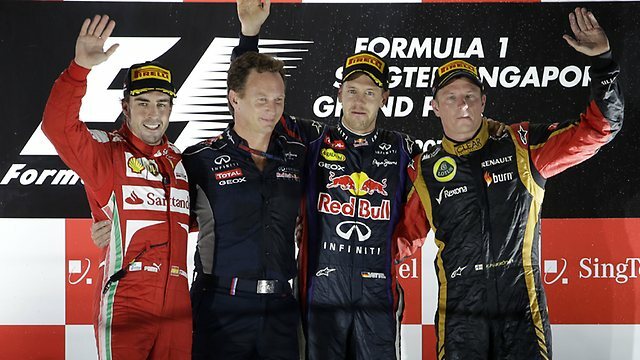 It has been estimated that 60 percent of the annual fee will be covered by the government of Thailand when the race joins the calendar, while beer company Singha and energy drinks giants Red Bull are expected to share most of the remaining costs. Under the Concorde Agreement, which binds teams to the sport, the cap on the number of races during a season is 20. With two more events (New Jersey and Russia) joining in the next three years, current circuits could face being dropped. The German weekly Sport Bild is reporting that Volkswagen, the carmaker giant, is making plans to enter F1 in 2015. Sauber team boss Peter Sauber confirmed recently that he met at the Geneva motor show with VW’s chairman Martin Winterkorn. The Swiss team’s chief executive Monisha Kaltenborn denied there is any more to the story. But Sport Bild said Volkswagen is planning to enter F1 with Sauber, the Hinwil based team who won a grand prix with BMW during the 2006-2009 collaboration. The report said the FIA has been informed of the VW-Sauber plans, with Wolfsburg based VW reportedly keen to strengthen its presence in the key premier car markets in China, the US, Russia and Brazil. Sport Bild also said Sauber might be just a “stepping stone” into F1 for VW, with the marque also keen to get involved in F1 chassis design at its state of the art Porsche Motorsport Centre in Weissach, Germany.